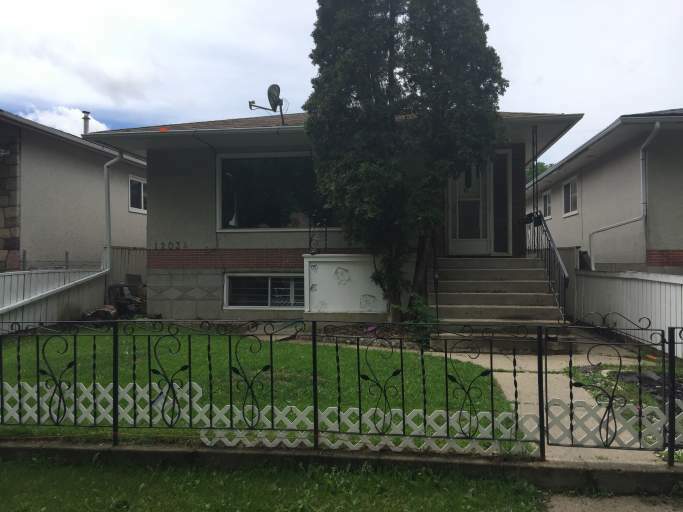 This main floor unit located in the quiet Alberta Avenue community offers proximity to NAIT, LRT Stations, Kingsway Mall and Royal Alexandra Hospital!! You'll fall in love with this area! Surrounded by parks, schools and various cafes and restaurants you'll be happy to call this neighborhood home! The unit features a massive living room with tons of natural light and laminate flooring and a large dining area with a built in solid wood hutch. The functional kitchen offers plenty of cupboard and counter space and is completed with full size fridge, stove and a large sink! There are three large bedrooms all with built in closets and large windows and a full bathroom complete with tub shower. Plenty of parking in the rear, plus a large fenced yard that is shared between basement and main floor tenants.